Who else had a great experience working for a small business in Westfield? 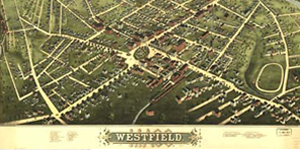 In May 1975 I started working at Westfield Spring Manufacturing, Inc. as an after school job. After graduating high school, I worked there full-time for a year. Having worked at First Congregational Church the five summers before, I was already accustomed to sweeping floors and washing windows. At Westfield Spring I also learned how to size and sort huge bundles of wire, clean and move heavy machinery, and tar a flat roof. After a short probationary period, I was given a 10¢ raise and put in charge of heat treating. This consisted of a large flat tray sitting on metal rollers in front of a large pizza oven. After a more experienced person timed and calibrated everything, I was allowed to place single layers of springs into the tray and would keep a timer with me, no matter what else I was doing. As time went on I was allowed to actually look at the blueprints we received from customers. They were amazed when they realized I could actually read them. I guess the mechanical drawing and drafting I took in high school paid off. A lot of the customer names escape me after all these years, but some were Savage Arms, Digital, and Smith and Wesson. Those were some of the ones we personally delivered to. It was always fun to get a mini tour and see where the springs would be used. One time we made a spring-like product out of flat stock (over 50 feet long) that was later coated with rubber and used on a nuclear submarine. Another one we made out of flat stock. It was hand rolled, heat treated, and then sent over to Westfield Electroplating, there being turned into an aftermarket Harley Davidson kick starter spring. Even though the place was cold and drafty in the winter and hot and sweaty in the summer, the owner, Roy Lipp, was a pleasant man to work for. On top of always treating everyone well, when the holidays came around, he would have tables and chairs brought in for the workforce of just under a dozen people, followed by a wonderful spread of food and drink. After we finished eating, he would give us the rest of the day off. Just before we left his employ, he would spend time with each of us thanking us for working for him. Then he handed us a huge paper grocery bag full of food and a turkey to go along with it. When was the last time you heard of, or had something like that, happen?